This week, guest teacher Shauna Lynn Panczyszyn shows us how to ask for what we want. Hello and welcome to Week 23 of #HOMwork! This week, we have an AWESOME assignment from my talented friend Shauna Lynn Panczyszyn. 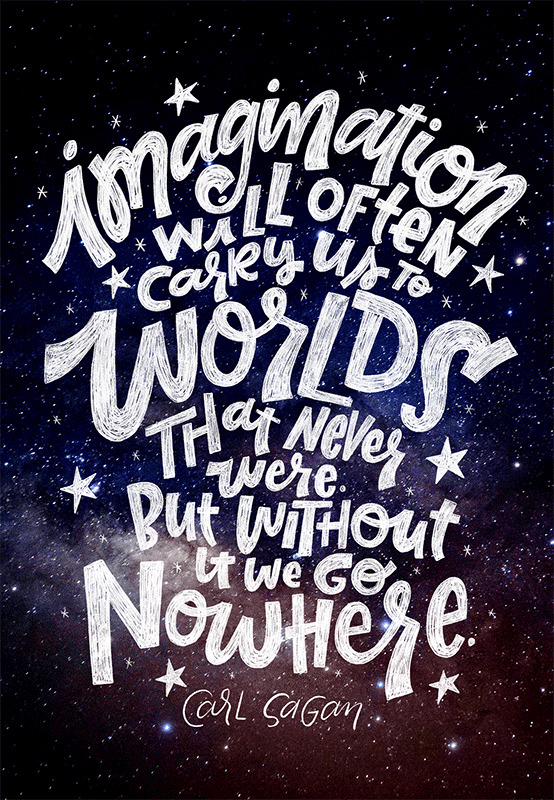 She's a hand lettering artist and illustrator in Orlando, Florida, (and sometimes Chicago) where she works out of her home studio with her puppy, Teddy, the Director of Cuteness. She has been working professionally since 2010 and has had the pleasure of working with clients such as Publix, Adobe, Seventeen Magazine, Microsoft, and many many others. Definitely check out her portfolio and follow along on Instagram! "Hello world! For those that don’t know me, hi it’s nice to meet you! For those that do know me, it’s nice to see ya! I am super excited to be a guest artist this week (thanks, Lauren!). In my daily life, I am a firm believer of asking for what you want. For me, this manifests in me verbally asking the universe while sitting at my desk, creating a hand lettered vision board, and posting to social media, because frankly you never know who is watching. I’ve also found that it helps to keep me accountable. Being a believer of positive yields positive, I work to live in a way that brings positivity back to me, as long as I’m putting positivity out to the world. Now, I know you may be thinking, “Uh huh. This just sounds like some weird woo-woo BS and this can’t actually work”. Just bear with me here, I promise there’s a method to my madness. Five years ago, I was fired from a job I moved to Orlando for, 3.5 months after I started. I dove into freelance full time and kept telling myself that this was going to work. I didn’t know how, but it was going to work and I was going to be successful. Exactly a week after getting fired (almost to the hour), I got my first big freelance job with a client that ended up being a repeat for several years, followed by a project from 3M Post-It Note. How these clients found me is still unknown to me, and all I can say is I just told myself this was going to work and there was not another option. Fast forward five years: at the beginning of this year, I created a series of goals for 2018 that I wanted to accomplish. Simply by putting them out to the Universe, I got three accomplished within three months: I was asked to speak at two different conferences, I was invited to Adobe Live to create some live lettering on their show, and I am teaching a workshop in a few days with another planned for September. There are still others to accomplish, but I’m well on my way. Last week, I reposted my goals to Instagram for accountability, with an addition of two others with very specific clients I would love to work for. Simply by putting it out there, I am one step closer to achieving them because I know that they are going to happen. I can’t tell you how many times I’ve chatted with the universe and the universe has brought me exactly what I needed. Sometimes it’s just a sign (literally once saw what I needed to hear on a billboard I was driving by and happened to glance at), or Andy J. Miller releases a Creative Pep Talk episode that makes me think he’s got cameras on my life, or I think “Man, I really need to make rent” and a few hours later I get a message that says “Hey! I’m sending your commission for x your way!”. There was a point that I was such good friends with the Universe that I could feel when an amazing project would be coming into my email that day (a feeling I’m working hard to get back to). Over the past few months, the Universe and I have been getting better acquainted, and I’ve spent some time to push my thinking in ways I’ve not before and really figure out what I want in life and my career. I will daydream what it would feel like to, for example, have my work displayed in Disney’s WonderGround Gallery. The warm fuzzy feeling I get from just imagining that allows me to feel like it’s a real possibility one day. Your challenge this week is to create a goal, a set of goals, something you want to accomplish or have, and/or someone you want to work for/with, draw it, and post it to Instagram (with the hashtag #HOMwork of course). I want you to make it something concrete, something that is attainable (although if your goal is just to be happier, that’s cool, too). Ideally, I hope that at least one of you gets to achieve that goal just by having posted the thing and it manifesting and coming to life. If you’re stuck for ideas, start with the prompt, “Hey Universe! I would like ____” and fill in the blank. As you work on it, don’t just draw it, imagine what it would feel like to have that thing, to live that thing, and hold onto that feeling while you post. Imagine you already have it, and internalize it, then post your final piece to Instagram. There are no limitations to what you can ask for, so really shoot for the stars. You want to be the world champion underwater basket weaver extraordinaire? Write it down! I believe in you!" Shauna and I will be featuring our favorites in our Instagram Stories. Make sure to complete & post your work before you go to bed on Thursday night next week because there will be a new challenge waiting for you next Friday. Can’t wait to see what you create (and ask for) this week! P.S. Shauna also runs a side project called We Need to Talk where she letters passive aggressive notes. Check it out for a good laugh! P.P.S. If you are interested in learning more about the power of manifestation, Shauna highly recommends checking out E-Squared by Pam Grout, E-Cubedby Pam Grout, and You Are a Badass by Jen Sincero, as well as Creative Pep Talk Podcast by Andy J. Miller and Manifestation Babe Podcast by Kathrin Zenkina.